We are exhibiting at the London Law Exhibition to discuss how the Cloud can make increasingly powerful functionality available to Law Practices, and how this can help connect us with ‘future-tech’ innovations such as deeper Machine Learning and AI – with a particular focus on how Cognitive Services can improve our automation of Document Management in CRM. We are looking forward to discussing how Dynamics 365 and our line of CRM Apps fit into this wider Technology Environment, and the specific Project and Case Management Tools we can offer based on our experience deploying Dynamics into the Asset Management and Legal Sectors. If you are attending or exhibiting then would be great to see you there, come by our stand A3 to meet our team, demo our solutions and the apps that help us connect you with your clients and 3rd partners. For all event information including visitor registration, visit the official event website – www.londonlawexpo.com/delegate-registration. To access past event conference reports, click here. Returning on Tuesday 9th October, The London Law Expo will welcome an estimated 1,500 visitors from the world of legal practice management, technology, and IT security. This major international law event will take place at the Old Billingsgate, London. Chaired by Professor Stephen Mayson, the London Law Expo 2018 will bring together the most respected names in the legal and commercial worlds to deliver a wide range of managerial, operational and sector focused information. 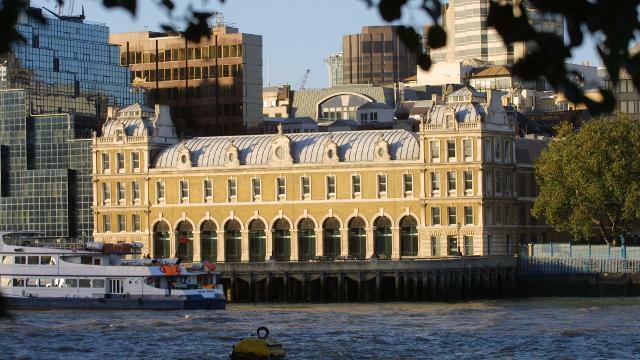 The Old Billingsgate is a landmark building situated in a prime position on the River Thames with views across to Tower Bridge, London Bridge and the South Bank. The elegant nineteenth century Grade 2 listed structure has been selected to host the The London Law Expo 2018. The Old Billingsgate is easily accessible by tube, bus, train, and taxi. The nearest tube station is Monument (200 metres).